Same Day Banners Houston is the only solution for fast, easy and affordable banner and sign printing in the Houston, TX area. Contact Us for A FREE Estimate or Quote: Call us today at 281-789-3132 for a free estimate or quote. We work with businesses of all types, even individuals. We are happy to furnish a FREE quote, meet prices but more often than not, our prices beat all of our competitors. Plan Your Design for Your Banner or Sign: We love working with our clients on their ideas. Have your artwork prepared and ready, or work with our friendly team on what would make your banner pop. Time to Print the Banners and Signs: If we are all lined up to go, and your artwork is approved, we will print your signs and banners SAME DAY. Fast, friendly service – beautiful colorful banners and signs. 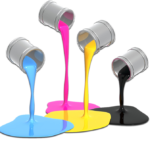 Our four-color process gives high-quality printed banners and signs, along with the best materials for signs and banners so we can guarantee that your signage will beat the test of time, elements and continue to look fantastic. Enjoy your banners: We love our clients, and we love making you all look great! Contact Same Day Banners Houston today for your banner printing services. Get on our schedule today for SAME DAY SERVICE.